Any country or Government which wants to proceed towards tyranny starts to undermine legal rights and undermine the law. When Chris Grayling was appointed Lord Chancellor in 2012 it raised a few eyebrows. He is the first non-lawyer to hold the post since the seventeenth century. His experience prior to becoming a member of Parliament involved television production, corporate communications and management consulting. It has been suggested that this was not perhaps the ideal background for someone occupying one of the most venerable Offices of State. It is an office that has, until now, been seen as carrying weighty responsibilities relating to the stewardship of key elements of Britain’s Constitution. In retrospect placing Grayling in the role seems increasingly like a masterstroke, from the perspective of political expediency. The current agenda entails the removal of access to justice for many through serious cuts in first civil and now criminal legal aid. It also encompasses the contracting out of various components of the justice system to private providers, including the bundling up of services into bigger contracts so they can be of greater benefit to larger corporations. One might suggest that had we been blessed with a Lord Chancellor with any significant sense of, or respect for, the delicacies of the British Constitution, the English Legal System or the rule of the law, then this agenda might not be pursued with quite such vigour or relish. There would be a greater appreciation of the profound risks inherent in current policy directions. Whether the issue is Mr Grayling’s personal enthusiasm for the agenda or simply that he doesn’t have the sort of legal sensibility needed to repel overenthusiastic civil servants in the MoJ is a moot point. Today the latest instalment in the agenda has been floated in the newspapers. The Times carries a front page story that the Ministry of Justice is considering privatising the court system. That might just be the buildings. But it might also be court staff, apart from Magistrates and Judges. There is a suggestion that the courts service might be run on a commercial basis, explicitly seeking to make money from more wealthy litigants to cross-subsidize loss making activities elsewhere. The proposals have not been positively received by the legal establishment, as might have been anticipated. However, it is important for others to engage critically with the proposals if we are to avoid opposition to them simply being dismissed as special pleading by a sectional interest trying to preserve its position. And others need to do so urgently, because in a matter of months much of the system will be beyond direct government control. The Government has responded today by arguing that what is being considered is not the privatisation of the courts. This response would seem to rest largely on a particular definition of the word “privatisation” and an equivocation over the term “courts”. We could engage instrumentally. The proposals will inject significant rigidities into the system, as any arrangement based upon contractual rather than democratic accountability inevitably does. If previous outsourcing of facilities and complex professional services are any guide then this is unlikely to save the public purse very much money. The objectives and incentives of private providers are incompatible with the delivery of transparent, timely and impartial justice. We could engage with the arguments at the level of political principle. If you join the dots on the current Government’s agenda and look at it holistically then it is clear that we are in the process of moving from a justice system funded and administered by the public sector to a justice system largely owned and administered by large multinational corporations – indeed quite possibly under the control of a single corporation. Such a concentration of power in private hands is an offence to concept of liberal democracy. The incentives it creates are as perverse as they are self-evident. The Justice Secretary may sit at the top of the system, and Judges may sit on the bench issuing judgements, but almost every other aspect of the system will be under private control. Therefore the lived experience of most people who come in to contact with the justice system will be shaped by whatever a private corporation chooses to deliver. Anyone suggesting otherwise doesn’t understand how large-scale contracting works on the ground. The proposals for reform of the justice system have created consternation within the legal community. But those beyond the legal world need to look carefully at what is being proposed and decide whether the system being created – and the sort of society that this will shape – is desirable. The change is profound. The Government claims it is necessary in order to save money. I am sceptical that it will save money. But even if it does, is a financial gain worth risking the integrity of the system? If confidence in the legal system breaks down then we’ll be in a whole heap more trouble than simply trying manage the fiscal deficit downwards. I have just encountered a handy post provided by Scriptonite blog. 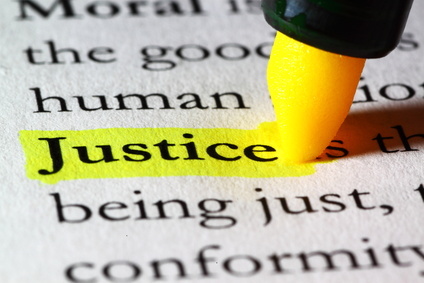 It summarizes the elements of the justice system that have already moved into private hands, and some of the problems – such as miscarriages of justice – encountered as a result.